These Poor Trees Can't Find Any Shade. We Can Still Give 'em a Helping Hand!! These Poor Trees Can’t Find Any Shade. We Can Still Give ’em a Helping Hand!! This Summer is proving to be quite a scorcher. This sort of heat and lack of water can certainly take it’s toll on trees, especially those in the urban and landscape environments. Larger trees with root systems that exist deeper in the soil tend to fair better than smaller and younger trees and plants. However, large, mature trees can also suffer when temperatures are at extreme highs and soils become zapped of moisture. If functioning properly and soil moisture is adequate, trees can handle a great deal of heat. AAA Tree Experts recommends mulching trees around the drip line (under the total area of the tree’s crown) to help soil hold moisture. Mulch shouldn’t be more than a couple or three inches above soil level; if it’s any higher, the trees roots can be deprived of oxygen. 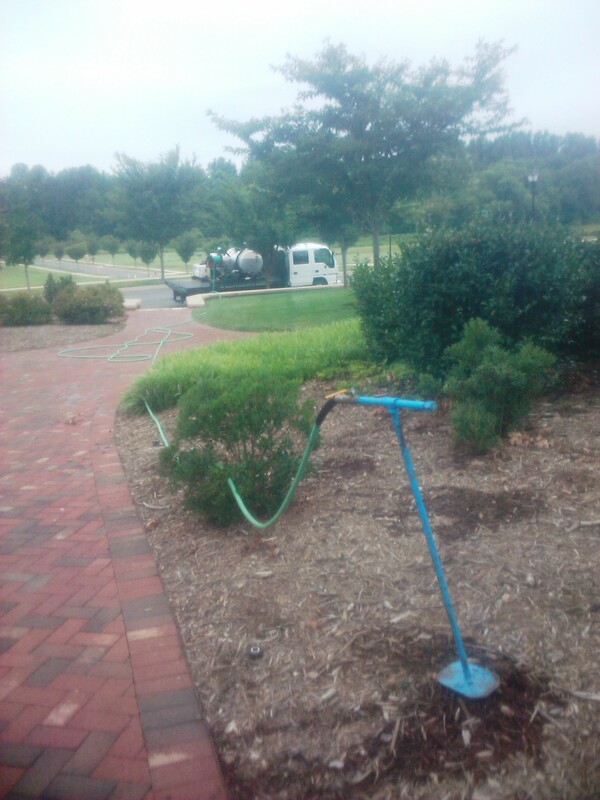 Deep Root Soil Treatment is another tremendously effective way to help landscape trees to overcome environmental stresses. Injecting a combination of organic ingredients into the root zone of your trees will create a moist and nutrient rich soil environment. Landscape and urban soils are often inadequate for healthy tree functionality. If you want to do your utmost to insure the health of your trees, click here or call 704-366-1134.